The first open world in the series, it’s what I am most excited about. I’m a huge fan of Borderlands and playing online alongside friends and tackling different missions whilst supporting your teammates. Ghost Recon achieves just that, minus the split screen, but we’re really spoilt when it comes to the games superb graphics and the sheer beauty of the map and world. 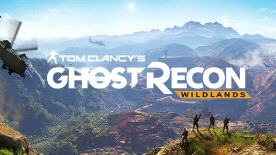 If you’re a fan of the Ghost Recon series or maybe Wildlands is new for you, it’s really worth jumping in just for the open world alone. Let alone the incredible line up of Ghosts, enemies, weaponry and the ability to customise and make the game your own.